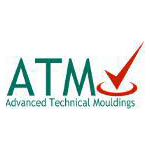 Established in 2012, ATM has accelerated in becoming a leader in the design, product development, prototype and volume production for a range of industrial sectors. ATM provides a complete product development and full project management service using the latest in “time compression” and “tooling technologies” combined with rapid prototype manufacture. ATM provides a single point of contact for all technical components, mould manufacture and mass produce parts through our global supply base. We specialise in the product development, tooling procurement, tool design and component delivery. Our selective customers includes companies working within the automotive, packaging, aerospace, and medical industries, as well as general product design. ATM is well versed in meeting the demands of major OEMs through 25 years of industrial experience and is aware of the pressure and restraints involve in today’s commercial climate.